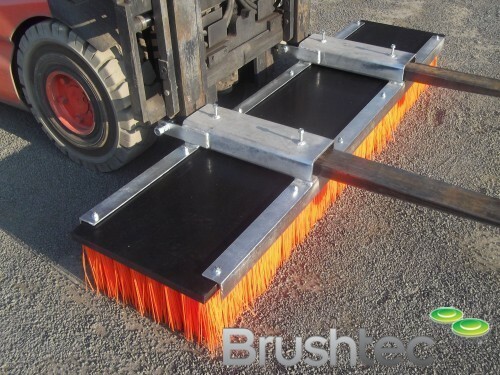 The industrial side brushes from Brushtec are designed to pick up and sweep up loose, fine dust and warehouse litter without dispersing it into the air. They sweep debris from beyond the outer sweeper body to under the chassis of the sweeper where it is collected by a vacuum assisted cylinder brush. 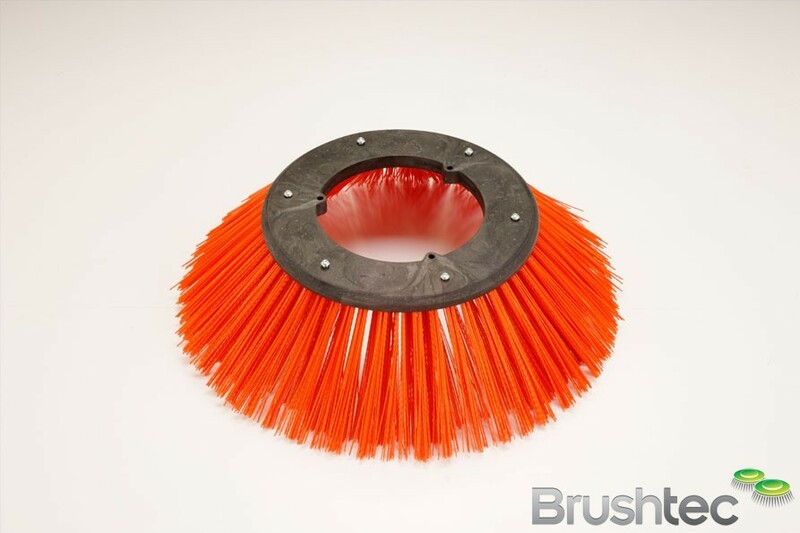 Our side brushes are constructed of PBT and PA monofilament mixtures, which are hard-wearing and crucially do not damage painted or ceramic surfaces. We are also able to incorporate corporate colours into your brushed — contact our team today if you have any special requests. 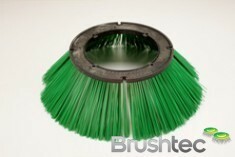 All of our brush bodies are made from a recycled polypropylene, which has a high impact resistance even at low temperatures. 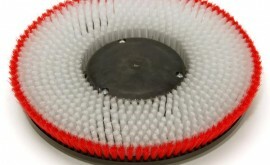 The brush body is designed so that each individual row of tufted monofilaments is angled towards the floor, therefore giving better support to the monofilaments, in turn giving a firmer sweeping action. 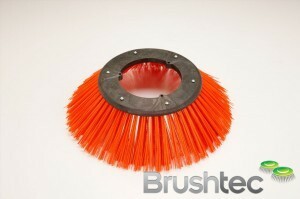 You may also be interested in our light cleaning and general scrubbing brushes for more cleaning options.